As the NCPSS is still my “charity of choice”, I am supporting a number of their events this year. One of these is the “Child Line Polo” event in Ham, Surrey. Having grown up within spitting distance of the Polo fields, I decided that it was a no brainer to support this with another painting. 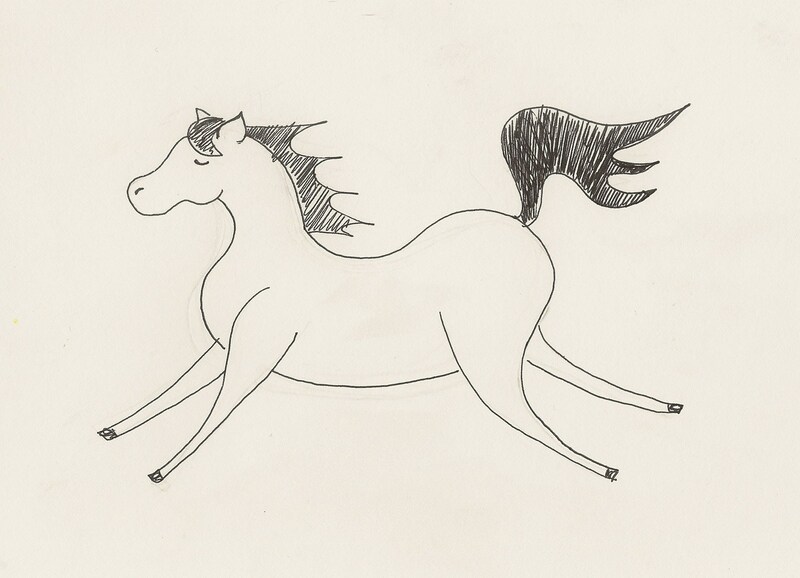 This time, I decided to design something from scratch – a horse – assuming that the attendees will all be horsey fiends… Am v pleased with the intial drawing. Now “watch it become a painting”!! 25 Years of Comic Relief!